68,000 unique online banking users/mo. avg. So, the natural question is, "so what?" Well, that extra productivity yields about $23K/mo. in extra revenue and acquisition cost reduction; here's the math and please note that $23K is one month of revenue and cost avoidance or $69K/3 months. Table 2 - The value of increased sales productivity using Micronotes vs. target display ads. We count 139 extra sales above, or 149 with Micronotes minus the 10 that would have been achieved with targeted display ads as the base case. 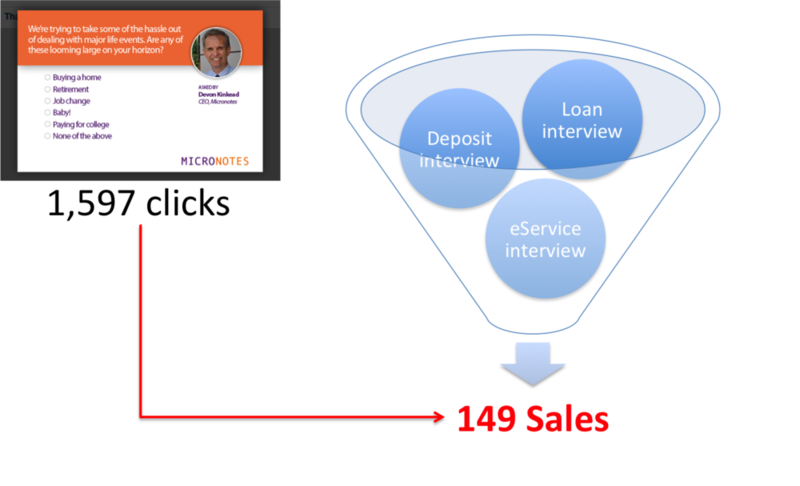 139 is the incremental or extra sales achieved with Micronotes. And here's the dollarized return on the monthly Micronotes platform investment. Therefore, the incremental return of adding Micronotes to the secure-side marketing mix is about $20K/mo. for this particular community financial institution, or $3.50 per online banking user per month. 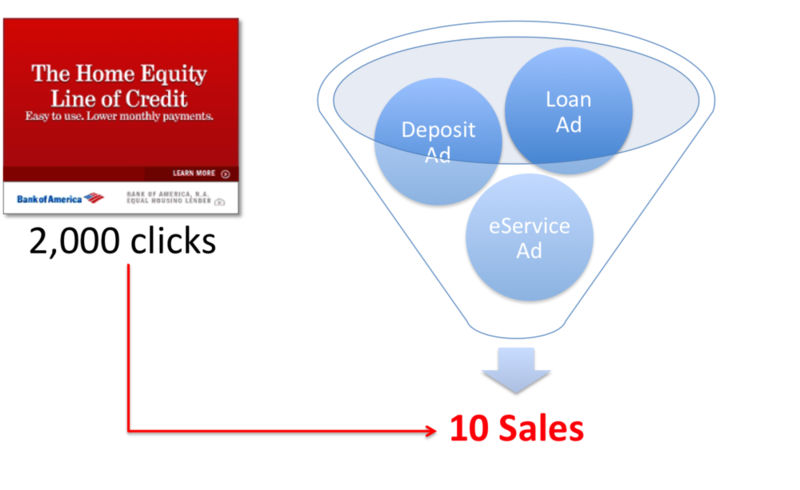 While results will vary from one banking provider to another, the incremental productivity advantage will remain and drive more sales and less attrition more than ten times faster than targeted display advertising alone. So, those are the hard, dollarized return figures for Micronotes; no hype, just results. But, don't take our word for it, try Micronotes yourself for free for 30 days. If your webmaster has access to your online banking logout landing page, s/he can install Micronotes in under an hour and you'll be on your way to a radical improvement in sales productivity and better returns.